As the Ashes heads to Edgbaston evenly poised at 1-1, Australia’s Head Coach Darren Lehmann is hoping momentum from Lord’s will prove crucial in their bid to go ahead in the series for the first time. England hit the ground running by comprehensively winning the first Test by 169 runs before the tourists leveled in emphatic style with their 405-run demolition at Lord’s. Now, Lehmann is confident of replicating the second Test performance and taking a decisive advantage heading to Trent Bridge. “To repeat that performance would be a very special thing and go a long way to helping us achieve what we’ve come over here to do,” he wrote on cricket.com.au. “Since the great result at Lord’s, we’ve had a terrific week with some of our squad staying in London with their families while a bulk of the touring party travelled to Derby for our three-day tour game. Despite losing most of the second day to rain, the Derbyshire game provided a good hit-out for some of the guys who have been on tour since the series against the West Indies a couple of months ago but haven’t been playing a lot of cricket of late. “Shaun Marsh was exceptional opening the batting, it was great to see Fawad Ahmed get some wickets, and Peter Siddle bowled really well for us taking the new ball. “We also had Mitchell Marsh getting wickets and bowling with good pace, David Warner scoring his first hundred of the tour which was great to see, Shane Watson hitting the ball beautifully and Michael Clarke spending some time in the middle when he opened the batting in our second innings. 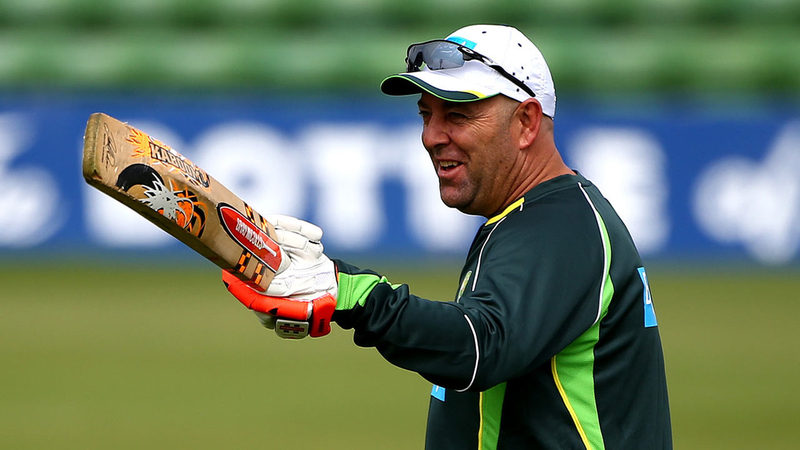 Haddin’s return, along with the uncertainty of whether Chris Rogers will be available, has left Lehmann with tough selection decisions with the series in the balance. “The good news is that everyone in our squad is injury free, although there is still a bit of a question mark over Chris Rogers as we wait and see how he’s going after the dizzy spells he suffered on the last day at Lord’s,” he added. “We have to keep in mind our motto that you must be 100 per cent fit to play in a Test match, especially one as crucial as this third one in an Ashes series that is currently poised at one Test all. “One of the other big talking points ahead of Wednesday will be the wicketkeeper’s position in our team, with Peter Nevill making his Test debut at Lord’s when ‘Hadds’ was unavailable. “We are yet to finalise our XI for Edgbaston so all I can say is that we, as a selection panel, will make the decision that we believe is in the best interests of the team and that gives us the right balance for the conditions that we’ll face in the Test. This entry was posted in Australia, England on July 27, 2015 by Daniel Robbins.